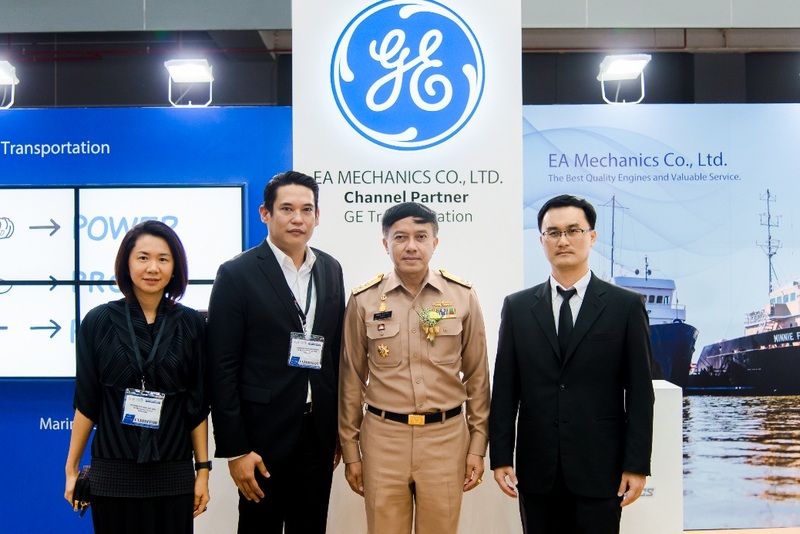 Event : GE Transportation appointed EA Mechanics as an authorized channel partner and launch Marine, Stationary Power and Drilling Solutions in Thailand Marine and Offshore Expo 2017. 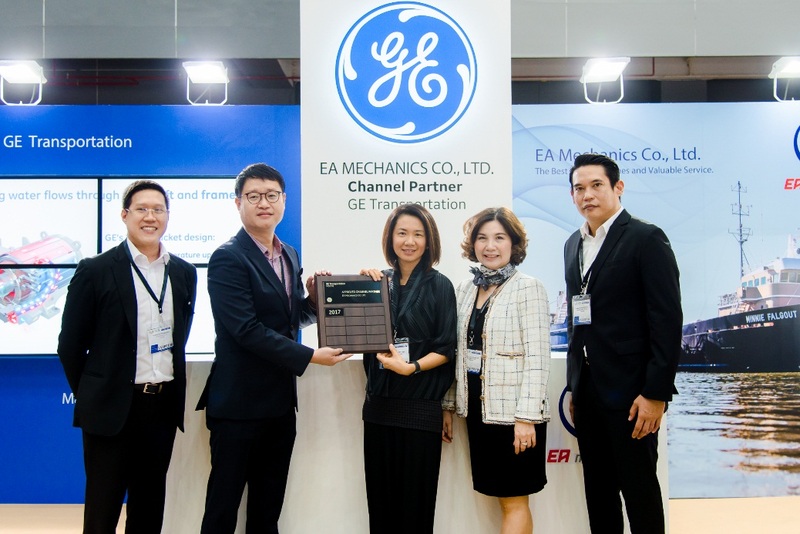 Mr. Choi Mun-Kyu, GE Transportation’s Regional Sales Director for Marine, Stationary Power & Drilling and Management of EA Mechanics Co., Ltd. has officially launched its first collaboration between EA Mechanics Co., Ltd. and GE Transportation in Thailand. 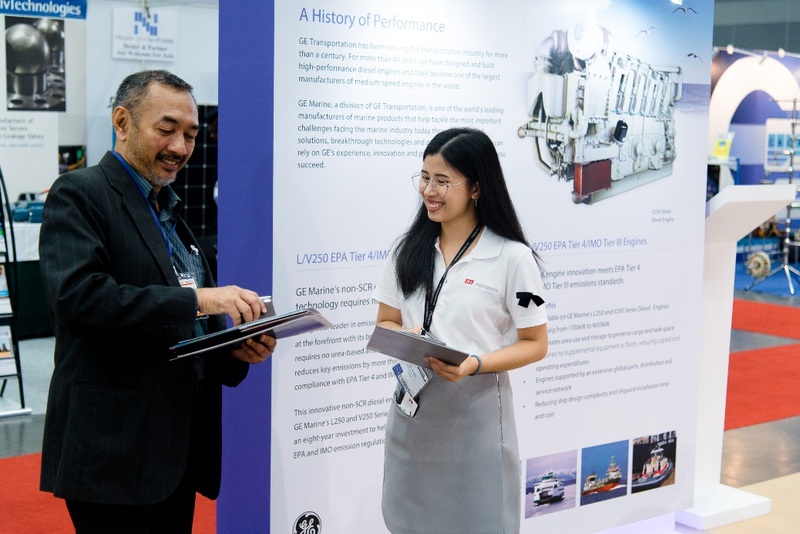 From Tuesday 10th – Thursday 12th October 2017 EA Mechanics exhibited at the Thailand Marine and Offshore Expo 2017. On Tuesday 10th October 2017, an announcement had been made to the public that EA Mechanics is the official channel partner of GE Transportation. Further to this announcement a channel partner, Mr. Choi Mun-Kyu, GE Transportation’s Regional Sales Director for Marine, Stationary Power & Drilling together with Ms.Narawadee Bualert, Chief Executive Officer, EA Mechanics Co., Ltd. officially launched the first collaboration between EA Mechanics Co., Ltd. and GE Transportation in Thailand. 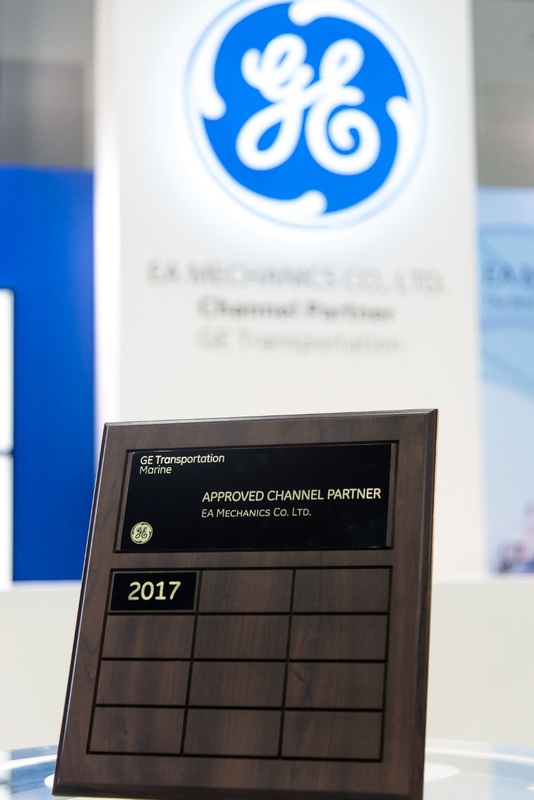 GE Transportation approved channel partner plaque for EA Mechanics. GE Transportation has been serving the transportation industry for more than a century. For last 40 years, GE have designed and built high-performance diesel engine and have become one of the largest manufacturer of medium-speed engines in the world. GE’s engines are not only dependable, long-lasting and efficient, they also perform in the world’s most challenging environment. Maintain a global network of service centers that provides packaging, installation and commission, spare parts and service support. Management of EA Mechanics Co., Ltd. with Rear Adm. Somchai Na Banchang, Deputy Chief of Naval Operations, Royal Thai Navy and Dr.Supalak Pananurak, Head of Strategic Planning Group, Department of Mineral Fuels at the Ministry of Energy. 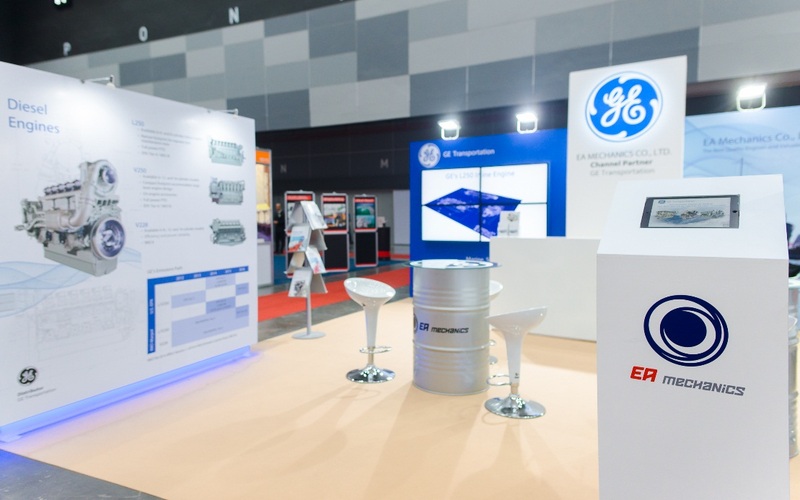 This is the first collaboration of GE Transportation and EA Mechanics to launch the GE Marine, Stationary & Drill Solutions including parts and aftersales service to marine industry and related industrial within Thailand. GE Transportation strongly trusted that EA Mechanics will be able to penetrate the markets soon in Thailand and also make the brand and products recognizable and generate profits continuously. EA Mechanics Co., Ltd. booth at Thailand Marine and Offshore Expo 2017. EA Mechanics sales pleased to provide information for all interested. 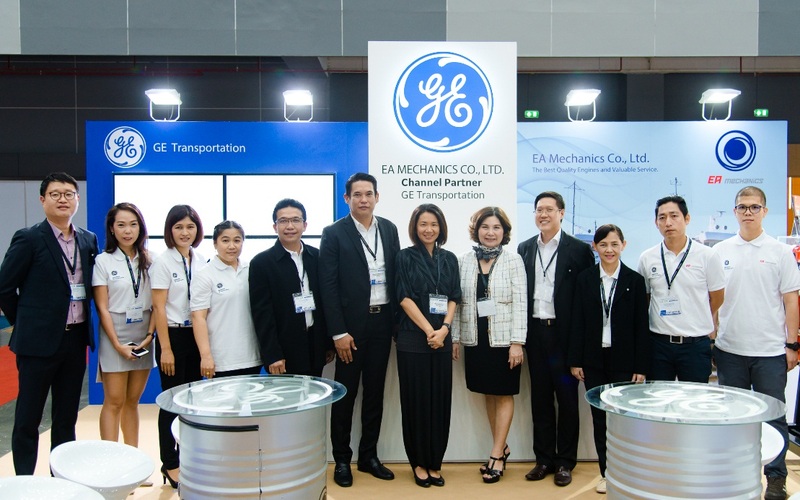 Apart from the GE Transportation channel partner announcement, EA Mechanics also exhibited their booth at the Thailand Offshore Expo 2017 from 10th to 12th of October, exhibiting information on products and services to customers who had inquiries and interest with personal care knowledge. EA Mechanics Co., Ltd. management with staff. As the authorized channel partner of GE Transportation, EA Mechanics would like to show and provide the best performance diesel Marine engines, diesel generator and drill motors engines with after sales service on parts and maintenance to satisfy our customers.